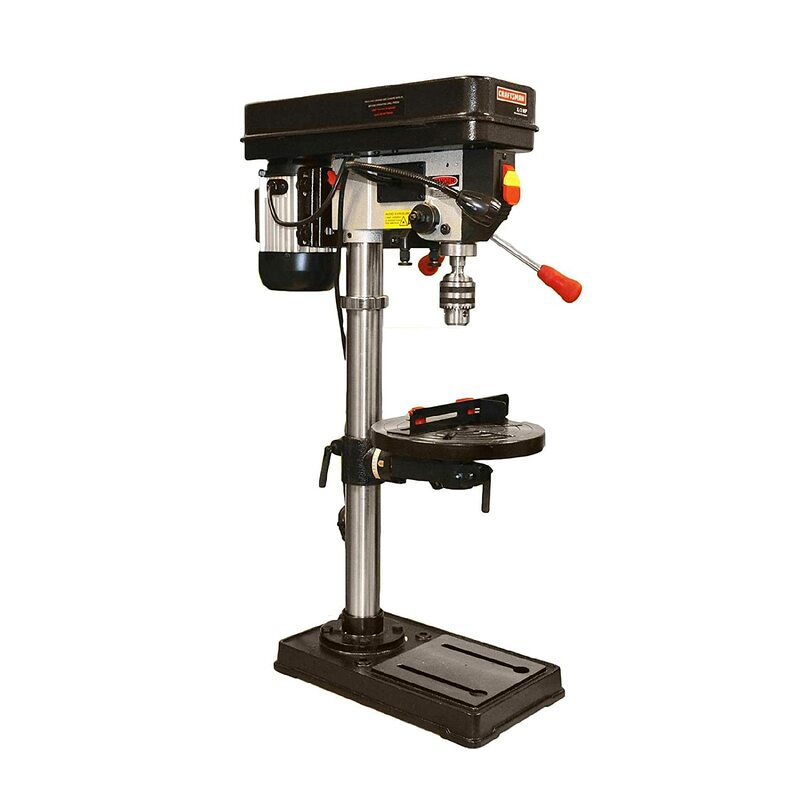 The Craftsman 12″ drill press packs a good bang for your buck, considering it features high end specs like digital depth readout, a powerful motor, and great speed settings. Many pros and newbies, DIYers and woodworkers all regard this machine highly, and Craftsman is also a very reputable brand that has been in the industry making high quality tools for a very long time. Advanced Laser Trac cross-hair system works to ensure highly precise drilling and exact alignment. Versatile machine because of the varying speed settings you can drill about any material that you need. Robust quality and build meaning the products longevity is very good, which is an important consideration when making the decision to purchase. Well established and reputable brand, you can trust Craftsman products as they’re known to be great quality. Sturdy and stable base ensuring it stays nicely in place. Comes with an easily adjustable fence with a stop for all your repetitive drilling operations. This 12 inch drill press from craftsman has an impressive 5 different speed settings, with varying RPM (from 355 to 3065)… this means you can adjust the speed of the drill accordingly to suit whichever material. As mentioned previously this drill press uniquely features a great laser guidance system which is an awesome thing to have when you want absolute precision in your drilling work. Powered by an impressive 3.5 amp, 1/2HP motor. Overall the Craftsman 12″ offers quite a few nice features. So although this may be out of some beginner DIYers price range, I think some of the great extra features warrant this purchase if your serious about getting great performance and accuracy. And if your taste is for the best quality then this DP should certainly please you. Although it certainly is not a $700 DP it still has a quite nice look and feel to it, and is pretty smooth to operate.